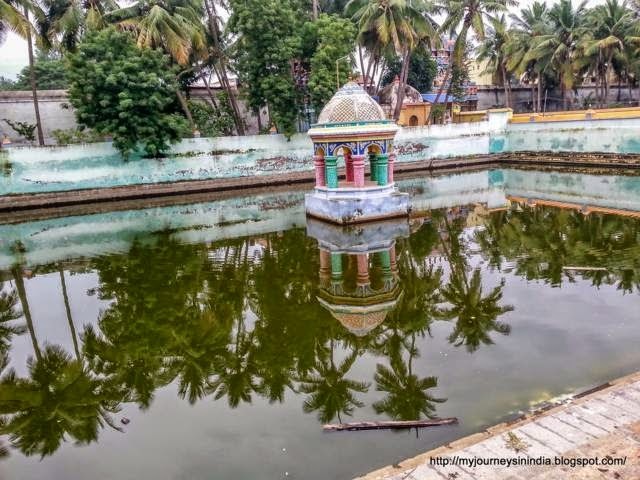 Holy water (Theertham) : Surya Pushkarini. Sacred Tree (Sthala Vriksham) : none. This is the 51st sthalam on the northern side of river Cauvery. Moovar has sung hymns in praise of lord Shiva of this temple. 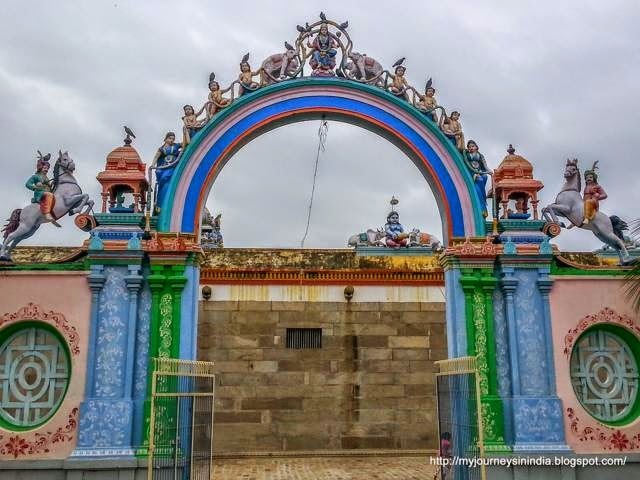 Thiruvaiyaru is about 15 Kms from Thanjavur and got its name due to the 5 rivers that flow through this town. The five rivers are the tributaries of the Kaveri and form a sort of network around this town. The main temple here is to the lord who shares the name with the town - Panchanadeeswarar in Sanskrit, or Ayyaarappan in Tamil. The story of how the temple came into being is an interesting one. A king’s chariot once got embedded in the ground. While digging around the wheels of the chariot to get it out, they chanced upon a lingam. A wise minister advised them to dig further, but carefully, and they were rewarded for their efforts with the idols of the goddess Dharmasamvardhini, Vinayaka, Muruga, and also a Nandi. To top it all, they also found a Siddhar (saint) deep in meditation underground. The saint advised the king to build a temple at the same place, and also told him to dig under the hoofs of the Nandi where he would find the wealth needed for building the temple. 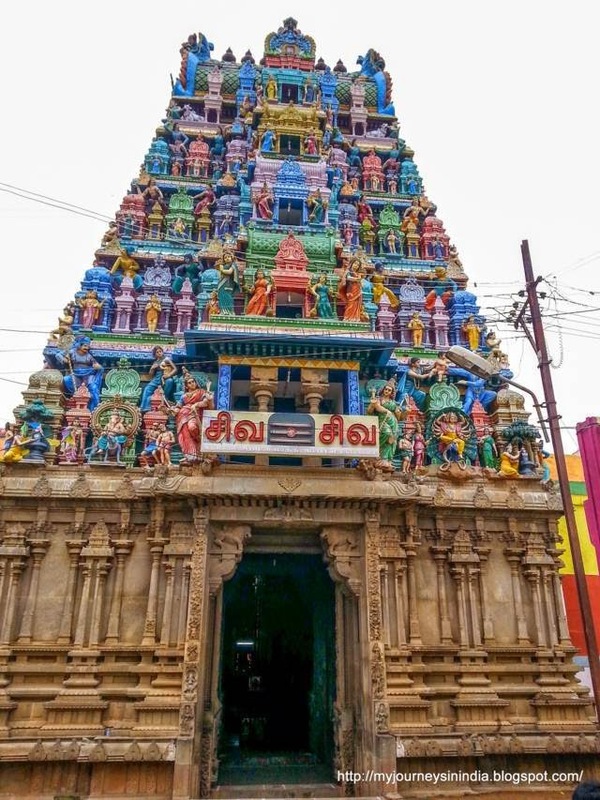 The Dhyana Mandap – Meditation Hall – of the temple is built with lime and palm jaggery – Karuppati in Tamil. Deep pits were dug to store these materials. The wages for the workers were paid in gold and silver, it is said. These precious metals too were put in two pits and the workers were allowed to take what they could carry. 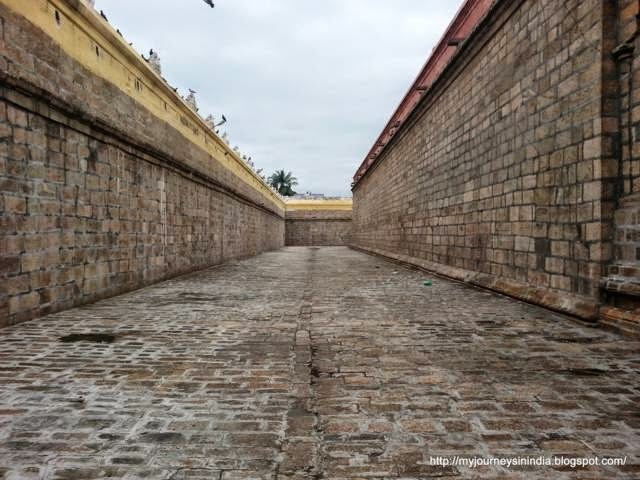 These pits still exist in the temple. Mother Goddess in the temple is praised as Aram Valartha Nayaki in Tamil and Dhrma Samvardhini in Sanskrit meaning Mother who upholds Dharama. It is the strong belief of Hindus that women are better guardians of Dharma than men. As Mother of all beings in the world – Jagan Matha – She is pursuing Her devotees to follow the path of Dharma. To emphasize the fact that every day is a Good Day, the wedding festival for mother is conducted on Ashtami nights. There is generally a belief that Ashtami – eighth day of new moon or full moon fortnights is not an auspicious day. But with the gracious look of Mother, what we call inauspicious becomes auspicious. A priest of the temple could not be present for his puja duty in time. It was reported to the king. He rushed to the temple to check but was astonished to see the priest on duty doing abishek to Lord. The priest returned to the place only next day from his Kasi pilgrimage. 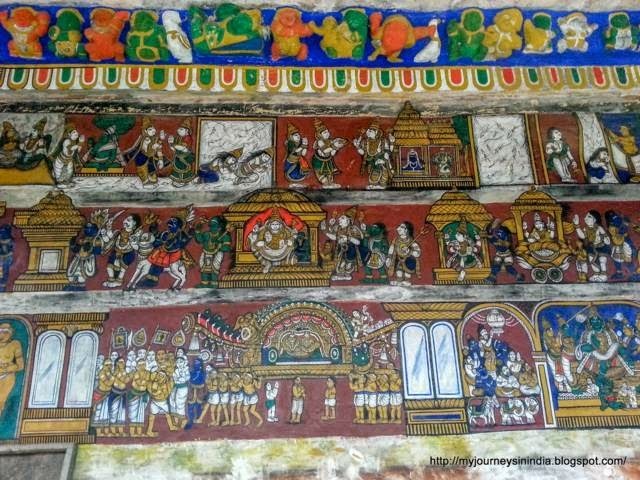 The king and people were more surprised to know the truth and understood that it was Lord Aiyarappar, in the form of the priest, was conducting pujas for Himself. Lord Aiyarappar is always with those who keep Him in their heart and soul. It is note worthy that devout Saivite Saint Appar – Tirunavukkarasar worshiped here and had the Mount Kailash darshan from here. He had his holy bath in the Manasa Sarovar at Kailash and returned from the Tiruvaiyaru tank. This Surya Pushkarini Theertha is all sacred. Mother Dharma Samvardhini is praised as Lord Mahavishnu in this place. Hence, there are no Vishnu temples around this place. 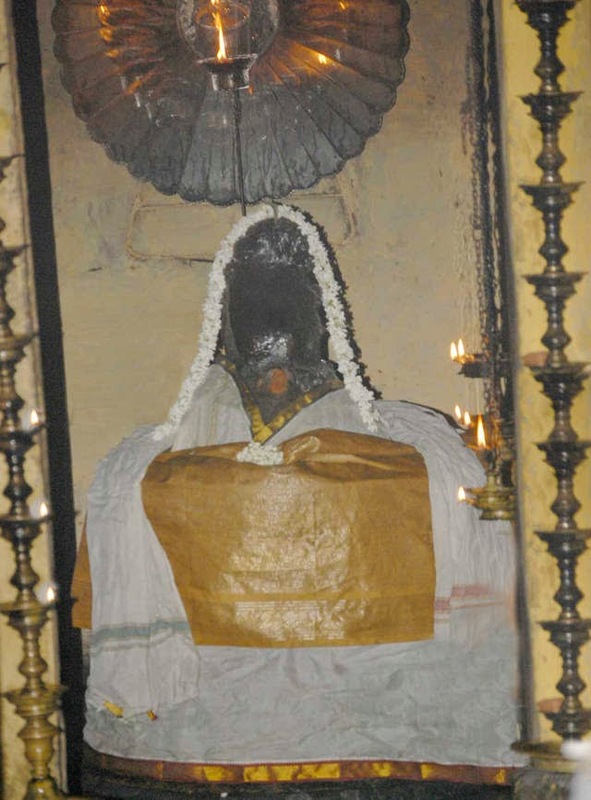 Prohibition to circumambulate the shrine: Lord Shiva in the temple is a swayambumurthy. It is believed that His long and thick turf is spread throughout the place behind the shrine. As a devotee cannot afford to tread on the Jatamudi of Lord, circumambulation is prohibited. 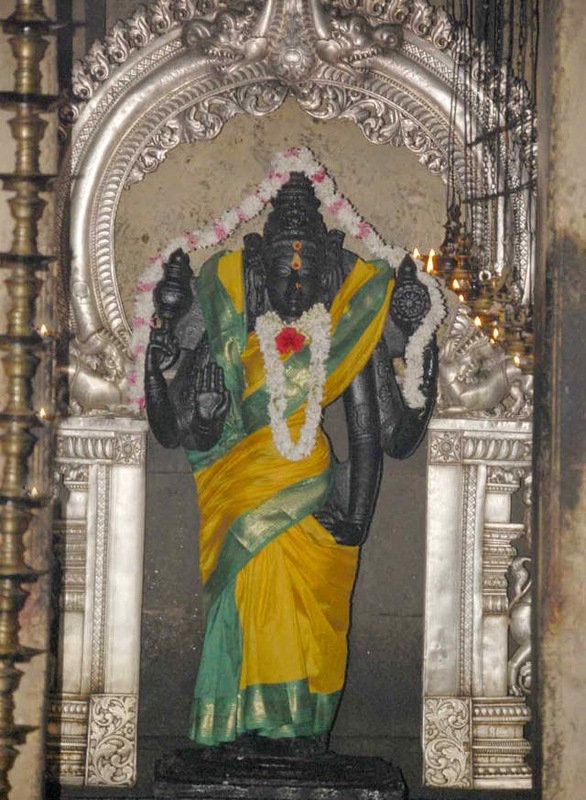 Lord Dakshinamurthi in the prakara has a special significance. Lord Vishnu had worshiped Him. He is only Guru in Tamilnadu worshiped by Perumal-Vishnu. He is praised a as Soouru Hari Shivayoga Dakshinamurthy. In the place of Muyalagan – symbol of ignorance – we usually see under His feet, there is a tortoise. 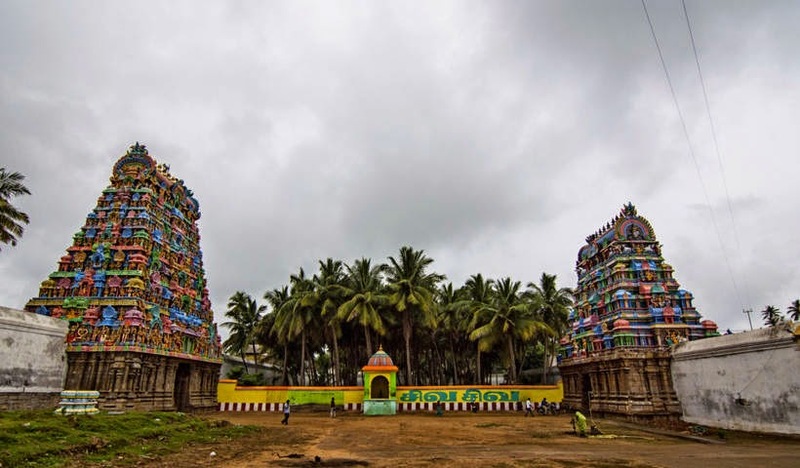 The architectural skill of the temple is such that multiple echoes could be heard if one loudly calls Aiyarappa standing at a particular place. Foreign engineers had tried to find out this miracle but could not till this day. Of the Navagraha importance, the place belongs to Sun. He is facing west. 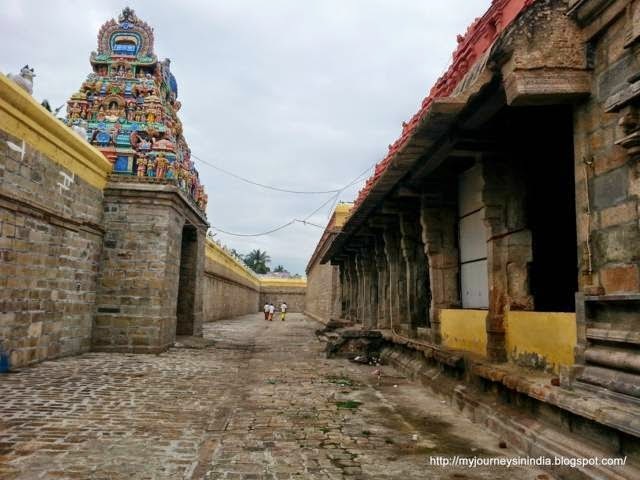 The temple has five corridors-prakaras. Devotees choose the prayer hall (Mukthi Mandap) for mental piece. 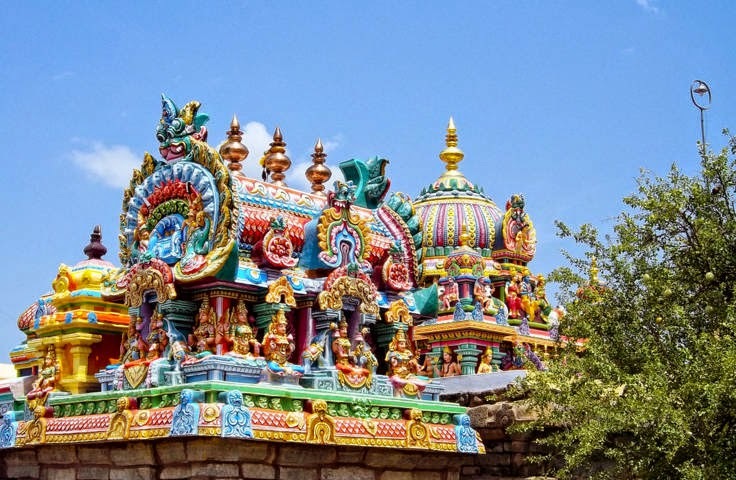 The names Nandeeswarar and Nandikeswarar are mistook as one name and deity. Indeed, they are different from the other. 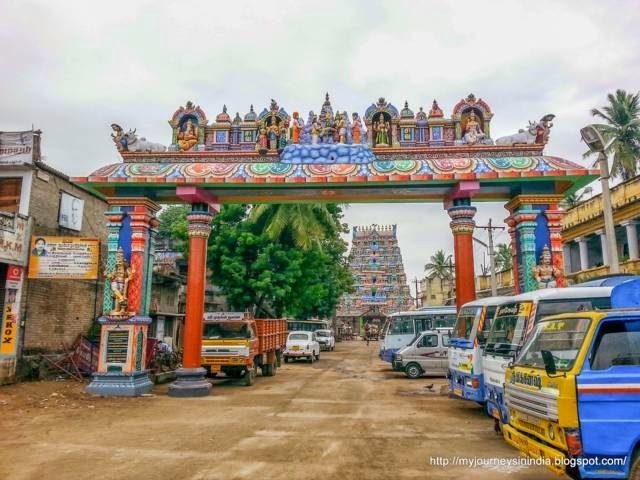 Nandeeswarar is the bull vehicle of Lord Shiva commonly called Nandhi. Nandikesar is the founder of the Tiru Kayilaya Parampara-dynasty. Dharumapuram Adheenam and Tiru Avaduthurai Adheenam belong to this heritage. Nandikesar was born to Sage Siladha with four hands. The sage placed the child in a box and opened it then. It was beautiful child with two hands. He left the child in Tiruvaiyaru. Lord Shiva performed abishek to the child with the breast milk of Mother Ambika, the foam from Nandhi’s mouth, nectar-amirtha- Saiva Theertham and Surya Pushkarini Theertham – totally five items – hence, the Lord of the temple is praised as Aiyarappan – Lord of five theerthas. 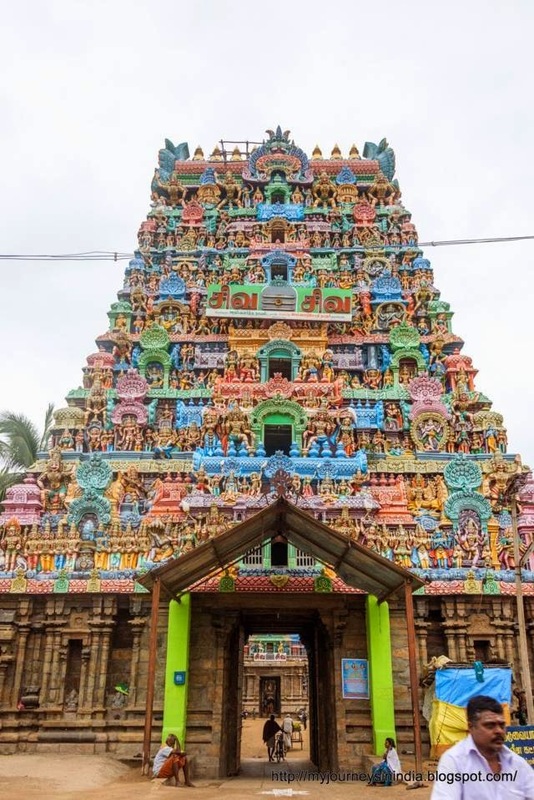 Location: This temple is located 10 Kms to the north of Thanjavur. Town bus Bus facilities from Thanjavur are available. Phone: +91-436 -2260 332, 94430 08104.